The ability to network – to develop contacts and personal connections with a variety of people who might be helpful to you and your career – is a critical skill for any global business leader. A deep and varied network of trusted colleagues can help when searching for new business partners, when seeking investment opportunities, when looking for sources of capital or opportunities to develop your own skills, or even when looking for another job. In an increasingly globalized world, these connections are being built not only across industries, but also across cultures. This is true for seasoned executives and it is especially true for those beginning their careers and aspiring to become the global business leaders of tomorrow. In fact, one of the most common pieces of advice that I hear corporate recruiters give to our MBA students at the Brandeis International Business School is to learn how to network: to go to networking events and meet people; to speak about your accomplishments; to impress people with your skills; and to become your own best advocate. But what if the bread and butter of successful networking behavior, such as making casual, lighthearted small talk and speaking in a poised and upbeat manner about your background and accomplishments, conflicts with your culturally ingrained values and beliefs? That’s unfortunately the case for many would-be job seekers in the United States who know that they need to network in order to succeed, but who struggle engaging in the behaviors required to master this key job-search ritual. It felt strange and uncomfortable. It felt like I was disappointing my parents and my heritage…I found it difficult to approach the representative of the organization. When I got to him I was tongue-tied, I could not speak, I was embarrassed and sweating. I forgot about everything I was supposed to be talking about, all the research I did about the organization. It was a very bad experience. I felt totally against my values and I was doing something I had thought was bragging and very indecent. I had to project my accomplishments and not be modest. I felt this is very difficult and I thought I should not be continuing the conversation at one point. All I wanted was to leave the room. You can see the problem here. Each student very much wants to succeed in what they fully understand is a critical aspect of the job search process in the United States. 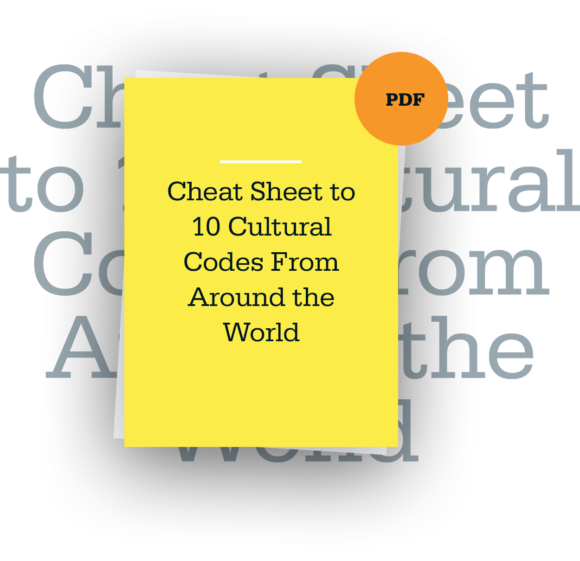 But they both face a key cultural liability: the very behaviors that are critical for them to perform are incredibly uncomfortable for them from the perspective of their culturally ingrained values and beliefs. In fact, these cultural differences can be so strong that many students avoid networking events, despite the fact that they know how important such opportunities are for developing their careers. Be a cultural detective: Watch how others around you people network successfully, and emulate their behavior. But don’t stop there. Create your own “blend” from these styles to create something that feels natural for you — and that also is effective in the new cultural setting. Practice in realistic, but overly challenging settings: Find opportunities to practice your new cultural skills. The best practice situations are challenging, but not overly challenging. You want to get a realistic preview of the pressure you’ll ultimately face in a performance context, but you don’t want to be overwhelmed by this pressure when practicing and honing your skills. View networking as a learning process: Networking is a skill. It’s just like learning to play a sport, speak a language, or ride a bike. It takes time and practice and repetition and commitment. Just like with any other process of skill development, don’t worry too much about “success” immediately. Find situations where you can learn from mistakes, and focus on developing a style that feels authentic and that is effective in the new setting. Find a Mentor: Finally, perhaps the best piece of advice I can offer is to find a mentor – ideally a mentor who is both knowledgeable about networking and also sensitive to the challenges that foreign-born professionals can face when trying to network in the United States. Mentors can offer help with skill building and can also offer invaluable encouragement and support to guide the cultural learning process. Acting outside of your cultural comfort zone takes strategy, determination, and, often, a great deal of courage. However managing this balancing act is critical for working successfully across cultures — and doing it successfully will pay great dividends down the road for yourself and for the people you manage and lead.